There are 14 reviews of Oud Saphir. Sweet, jammy, like a fruit compote or baked, jelly-topped cookies. Rosy and resinous, too. I love it straight away! Fresh cut birch and a light jasmine are next. New, suede leather with a touch of sweetness. Powdery accord in between. A note here, reminds me of iris coated in confectioner's sugar or maybe candied violets... It all turns to suede and more birch, then an addition of another woody odor. I get hints of vanilla close to the skin. The floral-like, suede and birch notes last and last. My first scent of this genre, I ran across it in the Atelier Advent Calendar, and at first decided it was to go in the “bad” pile. Then I picked it up again, put it on and no, no way. After the third time I was wondering why I kept going back. Got a bigger sample on eBay, and there was no going back. Dark, Smokey, I get the soft sweet suede, pink pepper, and a heavy hit of raspberry jam. Like a wonderful dark ashy sweet jammy incense. Definitely sophisticated, not for everyone, but ultimately wonderful. To start, it should be pointed out that this is in no way an oud perfume. That being said, it's a proper leather scent that manages to cleverly incorporate multiple types. It kicks off with quinoline, the main ingredient in Tuscan Leather, played against greens. This stage is a bit TOO familiar, as there are a ton of these, but it's eventually joined by rich suede and finally dries down to leathery birch tar. The rich suede thankfully manages to keep Saphir from being just another Tuscan Leather clone. Really, it's all about the slow slide from sharp quinoline to the smooth suede to the burnt pine, with a side of greens carefully maintaining continuity the whole way. Not entirely original, but nicely done. 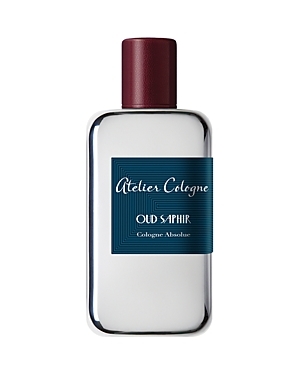 Oud Saphire - Very much a leather-oud interpretation. The oud makes itself known right from the start, as is typical with this well known modern oud-interpretation. The composition is fairly well paired back and clean / clinical. It seems like a spin on TF tuscan leather - a little cleaner, a little less sweet, still with that nose-numbing abrassiveness. A little fleeting violet note ghosts in around the mid stages, and there is also some typical saffron that comes with these kind of fragrances. Reminds me of Tuscan Leather and other well-oiled leather scents (what does suede smell like? ), except with more fruity-sweetness. Not saying this is a fruity or sweet scent, it is definitely a leather dominant scent. Not getting much if any oud, meaning, it doesn't smell woody to me, but I don't claim to be an oud expert either. These kinds of scents are too cloying and sharp for my nose at this time, but hopefully, I can evolve into liking more daring scents like this. For now, it's a neutral-rating because while I don't particularly care for it, it performs well, smells refined and seems to execute the notes listed and the general idea behind the scent. 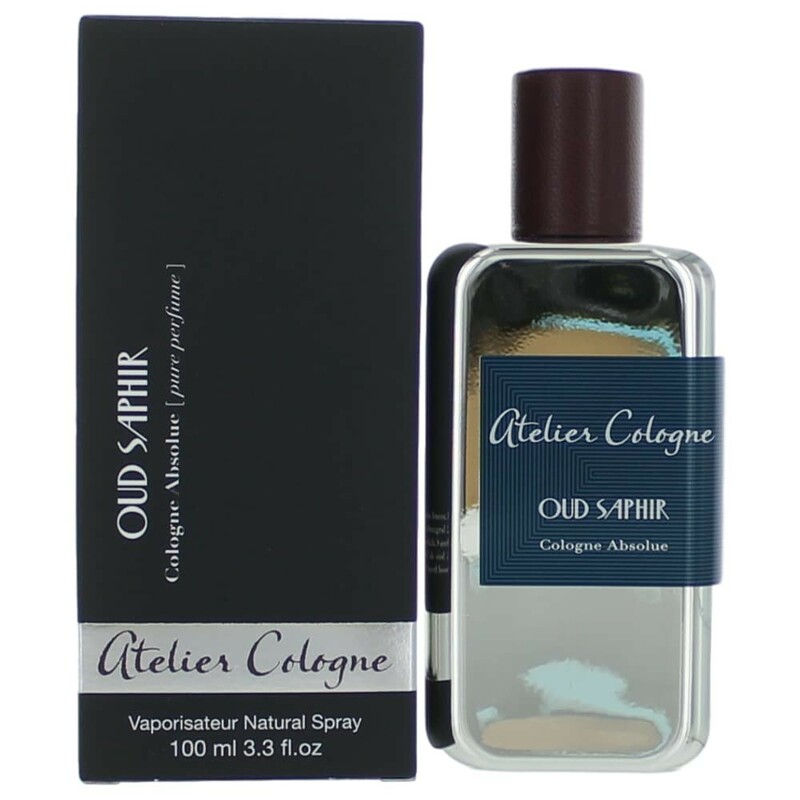 Atelier Cologne Oud Saphir Cologne Absolue Pure Perfume 3.4 oz. There are no member images of Oud Saphir yet. Why not be the first?